« The REAL Briana Lee! What a crazy week it has been for me!! First off I’d like to send out a big heartfelt thank you to all the wonderful people that shared the love with me on my Birthday yesterday. I was completely blown away by the amount of Birthday wishes I received from you all. Thank you so much for making me feel so special!! 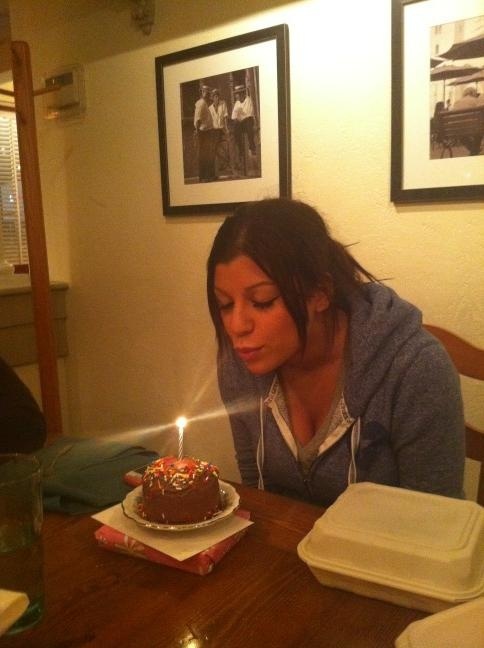 And an extra special thank you to the guys that bought me gifts & sent me Birthday cards as well. I love you all!!! Had a pretty good Birthday over all. Had dinner with my family, which was great!! I even got a cake!! So for those of you that don’t know, I travelled to Vegas last weekend for the AVNs. It was my first time there & it was a real experience!! Unfortunately my original travel plans fell through because my girlfriend’s poor Dad got sick. =( So at the last minute I arranged to stay with Charity Bangs & Sheena Ryder in a suite at the Hard Rock!! That was an experience in itself!! Haha!! I made a couple of new friends! 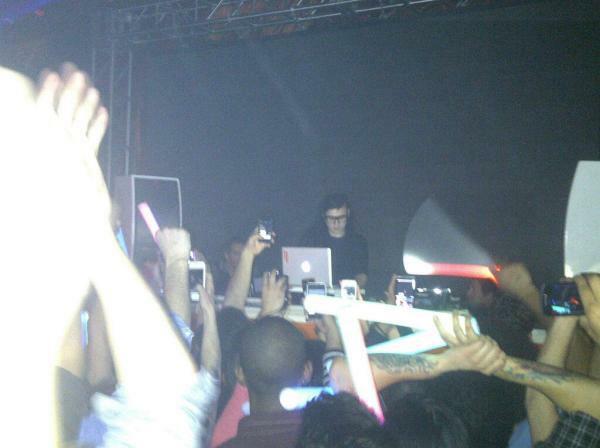 While I was out there though I managed to catch a Skrillex concert!! WOW!! I love this guy! Skrillex is amazingly talented, I love dubstep!! I got down, I raved, i moshed and all in a little tight dress & high heels!! I somehow managed to get a pic of him at work in amongst all the madness! Don’t forget that I changed my member show to 7est on Friday this week. We’ll be able to catch up on my crazy week in more detail there!! I’ll also let you know how my party goes tonight. Pics will be posted here soon so keep your eyes peeled!!! Speak to you all soon!! Print article This entry was posted by Briana on January 26, 2012 at 6:31 pm, and is filed under Life. Follow any responses to this post through RSS 2.0. You can leave a response or trackback from your own site. Sorry I missed you at AEE, I was keeping an eye out for you but it just didn’t happen. Hello Briana. I am new to this site. Just wanted to wish you a happy belated birthday. Hope ya had fun. I love that 4th pic!